Michigan’s HB 4342 was filed yesterday, sponsored by Representative Jeff Irwin along with six co-sponsors. This bill proposes to exempt the entire state from daylight saving time. No implementation date is specified in the bill. Time Zone Report will attempt to contact the sponsors and determine if there is a planned start date associated with the bill. 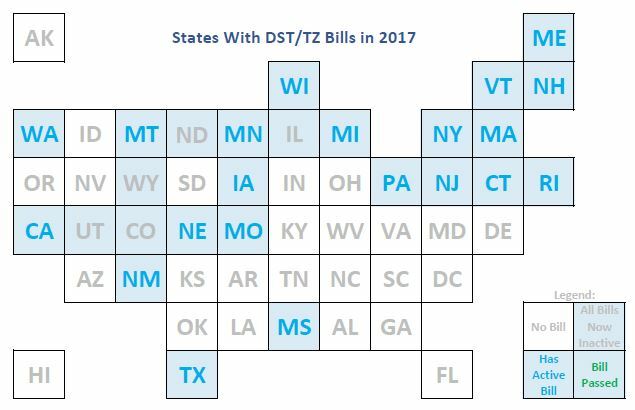 Does Idaho Have a 2015 Bill to Stop DST? 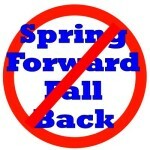 Illinois Representative Bill Mitchell introduced HB 1562 into the state’s House of Representatives yesterday February 9, which: Provides that daylight saving time shall be the year-round standard time of the entire State. Effective July 1, 2015. According to this item on TrackBill.com, Missouri Representative Mike Kelly has introduced House Joint Resolution 38, whose summary reads: Submitting to the qualified voters of Missouri an amendment to article I of the Constitution of Missouri, and adopting one new section relating to the recognition of daylight saving time.